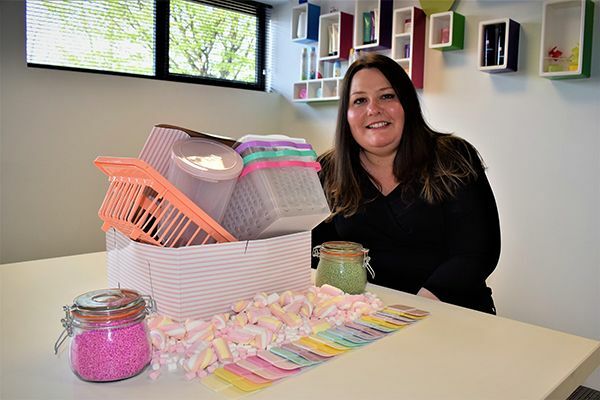 As the evenings begin to stretch out and the spring buds start to flower, Silvergate’s Emma Cank is celebrating the start of a new season by launching a new candy colour collection, which is proving a hit with manufacturers of consumer-led products for the home. Here, she tells us why this soft pastel palette is gaining popularity. “The nurturing shades of pastels invoke a sense of warmth and a richness to home interiors. These shades are typically comforting and reassuring, and whilst they are gentle and calming, they really can add a real pop of vibrancy to any home setting. Taking inspiration from earthy tones and clay hues, we have developed a stunning collection of candy shades for manufacturers of kitchen, bathroom, and general home storage solutions. As a manufacturer of custom colour masterbatch, we can develop any shade to suit the needs of specific applications. Our candy collection offers a guide for our trend-setting customers. Mellow tones, such as dusty pink and muted yellow, as well as the vivid hues of aqua and coral, are all included. Our entire candy collection looks superb when paired with harmonising greys and creams. Television programmes, such as Ugly House to Lovely House with architect George Clarke, and the likes of interiors expert Mrs. Hinch who has amassed over 2.2million Instagram followers, have given rise to consumers looking for distinctive yet affordable home furnishings. Sales of storage baskets are on the up, and we are seeing a significant increase in orders from manufacturers of stylish storage solutions. There has been a definite uptake in a candy-inspired palette, and some customers are also opting for special effects. For high-end packaging, we are seeing more requests for pearlescent effects. We can also offer glittery and opaque effects within the masterbatch formulation. Silvergate’s Sales Executive, Emma Cank specialises in the development of custom colour masterbatch for consumer-based applications. She is also highly knowledgeable about bioplastics and can provide a range of solutions for customers seeking a greener alternative to traditional plastics.